The world of communications is undergoing the largest change since the invention of the telephone. What was once stagnant, expensive, and esoteric – an industry still coasting on the legacies of national monopolies around the world – is becoming a vibrant hotbed of innovation due to one main thing – the rise of Software People who are changing everything. In fact, there are two important macro-changes afoot. First, in businesses around the world, from SMBs to the mid-market to the enterprise, software is migrating from the closet to the cloud. Instead of 100,000 businesses all running their own copies of “big hardware” and “big software” in their own dank closets and datacenters, they’re turning to multi-tenant clouds. CRM has undergone this transition. What was once a multi-million dollar, multi-year Siebel implementation is now a credit card and an afternoon on Salesforce.com. This story has been told ad-nauseum – but what’s most interesting is that every company – big and small, from a three person sales team to a 30,000 person global salesforce – has access to the best-of-breed, always updated software with no administration. Category after category has undergone this transition – and the closet to cloud migration in communications is happening now. Without a doubt, in 10 years, the overwhelming majority of our corporate communications applications will be delivered from the cloud. In this transition, new winners will emerge, and many of today’s incumbents will fall. You, the Software People, are building this future in the cloud. Second, and even more exciting, is the migration from communicating on “special purpose devices” to “general purpose computers.” Think about it: ten years ago, if you wanted to make a telephone call, you picked up a telephone – a device manufactured to do that one thing forever. On the day it rolled off the assembly line, it had all the capabilities it would ever have. Want a new feature? Throw that thing away and buy a new device. Innovation was largely limited to those who manufactured this gear — people who understood the esoteric composition of circuits and connectivity that comprised telecommunications. But today, you pick up a general-purpose computer – your iPhone, your Android, your browser. Advancements are no longer limited to the slow pace of companies manufacturing telecom guts – servers in closets and plastic on our desks. With the software mindset, most anything we can imagine is not just possible, but inevitable. Communications is becoming integrated into everything we do, not just a phone on the desk and 10 digits to punch in. Power has shifted to the Software People who are rolling communications into their companies, their applications and their workflows – and creating great experiences for their customers in the process. These two shifts are permanently and significantly changing the face of the trillion-dollar communications industry. Instead of one application — the phone call — the future is a million context-specific interactions. 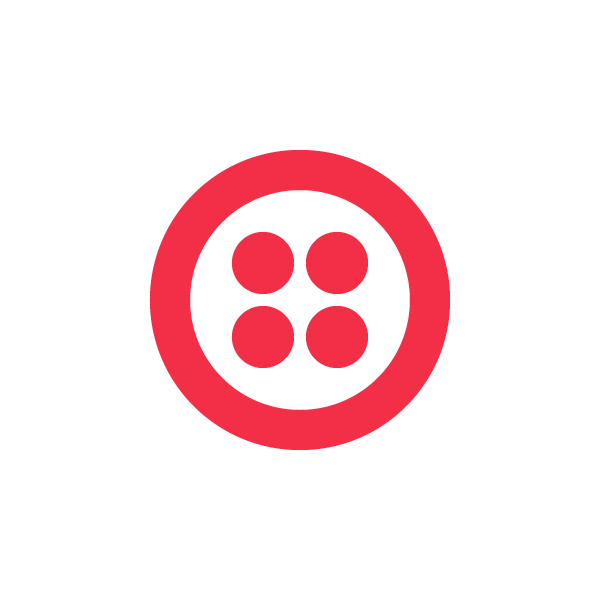 Going forward, APIs are the new dialtone and Twilio exists to empower you — the Software People — to invent the future of human interaction every day. Last week, we announced the closing of a $70M investment from Redpoint Ventures, Bessemer Venture Partners, and Draper Fisher Jurvetson. In addition, Scott Raney of Redpoint will join our board. Our existing and new investors share this vision of the coming world of software-defined communications and the opportunities it presents not just for Twilio, but more importantly for our customers. We raised this Series D investment round to continue to accelerate the pace of innovation we can affect for our customers. Our mission — to change communications forever – is just beginning. We’ve got great new products in the pipeline, we’re bringing Twilio to more geographies around the world, and we look forward to working with more and more of the world’s best developers and companies. We want to change communications forever by empowering you to build the future of your industries and create great experiences for your customers – and we can’t wait to see what you’ll build next.